This is what it’s come down to. The final game of the 2018/19 season and it’s going to be a cracker as Belfast Giants meet Cardiff Devils for the play-off final and what a game in prospect. Given how the title race has gone this season, it was almost inevitable these teams would end the season with a battle, but instead of keeping an eye on each other’s results, it’ll all be about who’s get the goals on the ice. 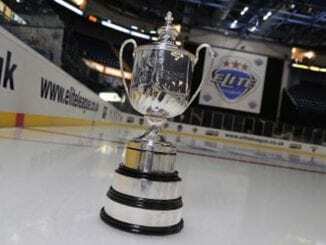 In this preview of the 2019 Elite League play-off, we’ll look at how each team got to today’s game and their record against each other as the build-up begins. A win today would complete something Cardiff Devils have come close to doing in the last couple of years, but haven’t. Complete a Grand Slam. The Giants have had an amazing season with three trophies under their belts and going for the fourth as they look to close off the perfect season. This is a special Giants team that Adam Keefe has put together so it’s fitting they get the chance to compete for the last trophy of the season against the opponents everyone probably wanted to see. For Cardiff, this is a revenge mission and a chance to end the season in the best possible way after the manner of how they missed out on winning the league title a couple of weeks ago. The hurt the players and Andrew Lord felt from that will have been channelled into getting here, to this game and hoping it was going to be Belfast Giants that line up opposite them. A third straight play-off final is an achievement in itself for Andrew Lord’s men. To take it from the Giants after the season it has become would arguably make it the sweetest of the three. While they may have been neck and neck for most of the season in the league, when it came to meetings between each other, it’s been Belfast who won the series, winning 4-2 in their six previous games. 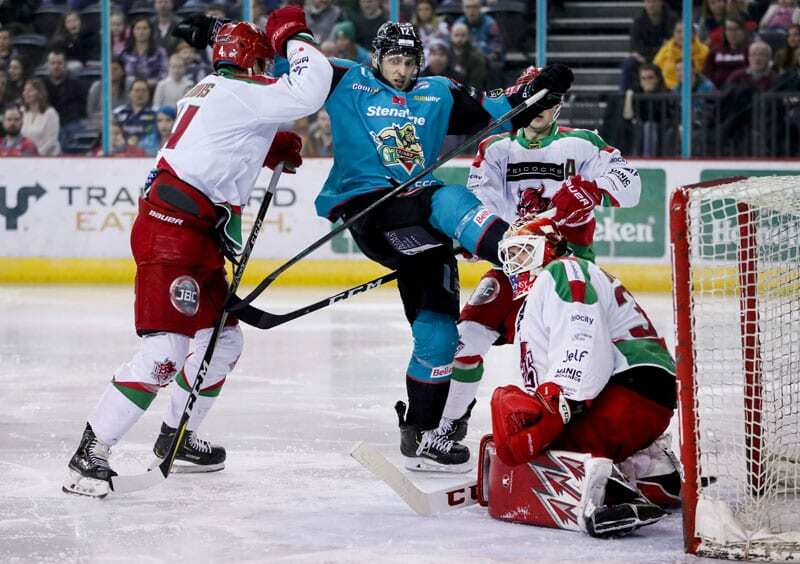 Giants fired a shot across the bow when they first met at Ice Arena Wales in November when Belfast’s rampant display coupled with a poor Cardiff night resulted in an 8-1 shellacking, that saw Kyle Baun net four goals and an extra assist. It was the only time the away team won in this fixture and when the teams came together in Northern Ireland for the second get-together in December, Keefe’s side took a 2-1 penalty shots win. Goals from Jim Vandermeer and Blair Riley were cancelled out by Evan Mosey and Charles Linget and they were only separated when David Rutherford was the only success from the penalties in the end. 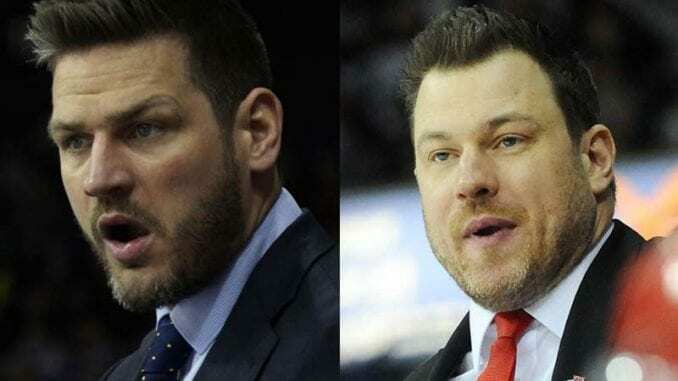 The other four fixtures were two double headers, starting in Cardiff and the Devils picked up all four points, starting with a 4-2 win where Mike Hedden, Layne Ulmer, Gleason Fournier and Sean Bentivoglio were all on target. The following night, Devils were 3-0 up by the end of the first and although Giants got it back to 3-2, Evan Mosey and Joey Martin netted to seal a 5-2 result. Two more meetings came, both in Belfast and the honours went to Keefe’s side, who stepped up in the third period with a 4-2 win then edged to victory the following night with a 2-1 overtime victory in a tight affair. Riley’s opening goal for Belfast was levelled by Joey Martin and it was Curtis Leonard who came up with the goods in the extra period for Giants to take the win. Now, both teams are in Nottingham and there’s a trophy up for grabs. FINALLY, WHO’S GOING TO WIN?